What are some ideas for identifying visitors? 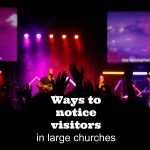 We are a 2500 member church and many of us don’t know the difference between a visitor and someone who is a member who we just have never met? I spend time talking with people I do not know/recognize but they end up being members, not visitors. Any suggestions? I’ve been a church drop out twice: once while I was an associate pastor. As I reflected on those experiences through the lens of church growth strategies and evangelism, I want to set aside the data that is out there and just share my own experience. and then let them drop out? We were prepared to be the first time church visitor in our new home town of Port St. Lucie Florida. The church planting team we are a part of has taken a holiday break, so our family was free on a Sunday morning to be that first time visitor and experience once again the challenge of being a new mover Christian family looking for a church home. It is another visit in our series on church shopping. 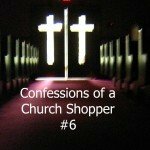 Confessions of a Church Shopper – Can I make a friend? We visited one church 6 times over the course of 3 months since our move to our new place in Florida. It started off pretty good. They made a really good first impression. 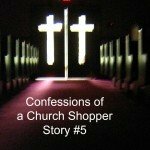 [Read more…] about Confessions of a Church Shopper – Can I make a friend? 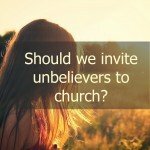 Should unbelievers be invited to church? A year ago, I posted this question to the EvangelismCoach.org Facebook page. “Should we invite unsaved friends to church?” Give a Yes or No, and then give a reason. Yes, the church is on an evangelistic mission. No, the church is for believers only to train believers to go into the world, get them saved, and then bring them in. It’s not my point here to drift into a full theology of the nature of the church, but to focus on the vocabulary of the question: what do I mean when I use the word church in this question? I mean the gathered assembly, whether it meets in a high school gym, music hall, or a beautiful church building with stain glass windows and movable chairs. I worked through the book of Acts to see if I could draw principles about the early gatherings of Christians before the church was more organized. 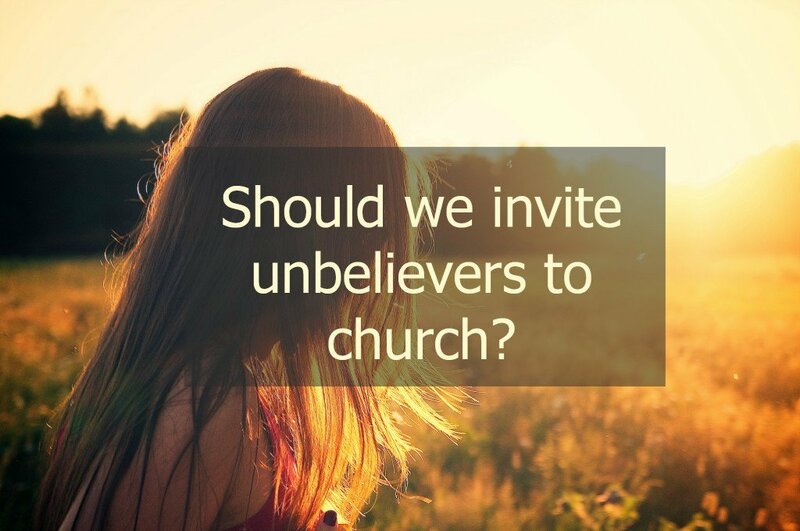 Should unbelievers be invited to attend our church? Since many of you are new subscribers to our weekly newsletter, you may not know these exist in the archives. Dig around and check out the evidence yourself. Summary: Should we invite non believers to church? I’m in the Yes camp. I invite my unsaved friends. How to host an Invite a Friend or Pack A Pew Campaign, sometimes called Operation Andrew. Many of our church hospitality practices are based on the assumption that unsaved persons will be in our church, no matter how that visitor got there. I’ve never questioned it. I know many people who came to Christ because a friend invited them to church. Here is one story. After a few weeks of hearing the preaching of the word, my friend surrendered his life to Christ. It is possible that without that invitation, he may have remained lost. It is possible that God could have brought him salvation by some other method. My friend was invited to church and came to faith in Christ. If the church is responsible for evangelism, then it seems that some of it’s meetings will be intentionally evangelistic. It also seems to me that the church would teach and train church members for evangelism where they live. We see Paul’s concern for the unbeliever in the midst of the assembly. Tongues, then, are a sign, not for believers but for unbelievers; prophecy, however, is not for unbelievers but for believers. So if the whole church comes together and everyone speaks in tongues, and inquirers or unbelievers come in, will they not say that you are out of your mind? Paul assumes that there exists a possibility of unbelievers in the midst of the assembly. There is no indication of how that unbeliever got there, nor is that the point of text. But what is clear is a concern for the visitor. That reflects a strong ethic that should reflect in your church hospitality practices. Answer this question in the comments below. For what reasons should we invite the unsaved to our church?